Throwing back to a fun project with some of our favorite local vendors, Caty created a 20’s inspired wedding at the newly renovated Georgian Ballroom here in Athens, Georgia. Inspired by the architecture and lines of the space, Caty brought in textiles and details to really bring her vision to life. 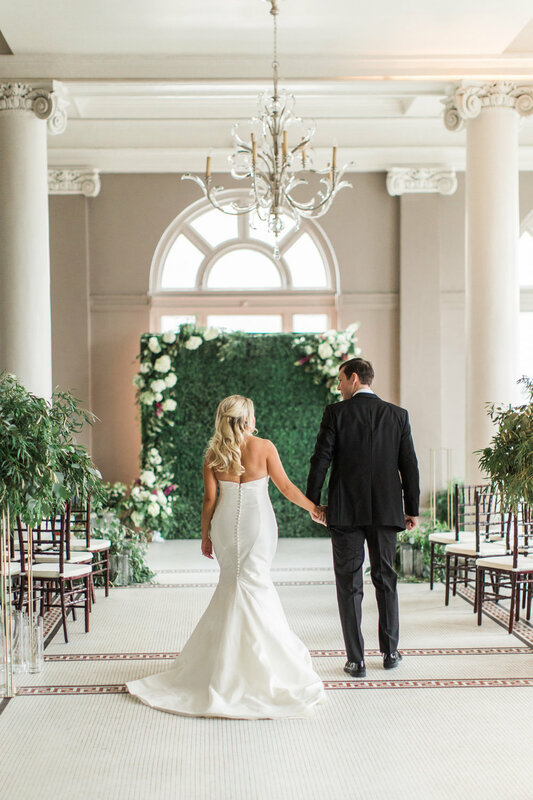 We love the darker tones and lush blooms, paired with this romantic gown and classic tux, and the pops of color are exactly what we are tuned into lately especially! Gardenia Floral Design adorned the altar space perfectly with seasonal greenery, and we just love how it all tied in together! Elijana took Caty’s inspiration of the era and gave our sweet bride the perfect wave bob without being overdone. Would you incorporate any of these details into your special day? We want to hear all about your winter inspiration!